Home / New Partner / Catalyst Global announces new partner in the USA. Catalyst Global announces new partner in the USA. Catalyst Global cements its position as the global leader in the team building industry following a partnership with Boston-based TeamBonding, one of USA’s leaders in team building experience and corporate events facilitation. TeamBonding joins the Catalyst Network. Catalyst Global, which operates in 90 countries, designs and develops some of the most innovative and popular products in the corporate team building market. Team Bonding has been given rights to sell and distribute Catalyst Global team building products in the USA. The partnership will increase the availability of Catalyst team building products throughout the USA. TeamBonding will also become a member of the Catalyst’s Team Building Network, consisting of 47 team building businesses. TeamBonding’s existing client base many of which have international presence will benefit from consistency of team development practises, as events carried out in the US can be replicated on a global scale with the assistance of overseas network members. David Goldstein, CEO of TeamBonding. 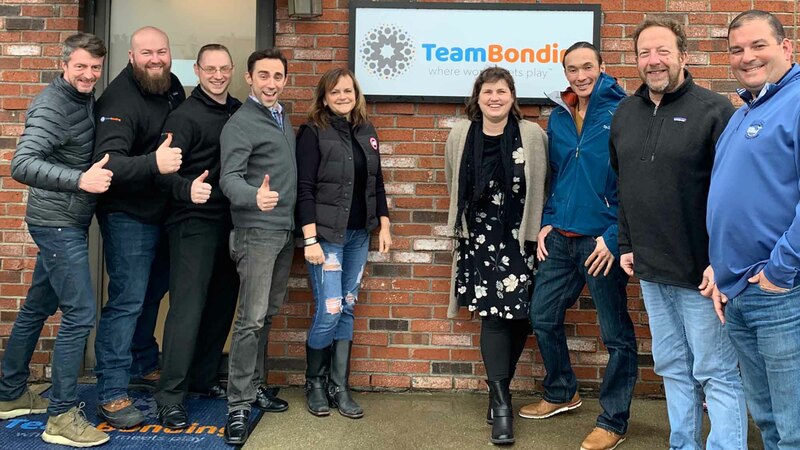 TeamBonding has been named one of the nation’s fastest-growing private companies for five of the past nine years by the Inc. 5000, and remains one of the most respected team building companies in the United States offering world-class service, trusted event facilitator relationships, and unparalleled events. The partnership is expected to change the team building industry in the USA. Catalyst Global’s investment into digital gamification will allow TeamBonding to progress with new technology products, including VR program The Infinite Loop and Go Team based escape game, Escape the Maze. TeamBonding will also bring to the US market, globally popular Beat the Box and its soon to be released sequel Outbreak.